Bright outlook for property market in Springs and Brakpan 01 Apr 2019 While 152 sales in execution in Springs and 116 sales in execution in Brakpan occurred in 2014, this number has significantly dropped in the past four years. This three bedroom, three bathroom home in Sharol Park, Nigel, has a small, private garden, pool and undercover patio. It is selling for R2 million - click here to view. Michael van Heerden, Seeff's Manager in Springs and Brakpan, says the number of sales in execution that took place in both these suburbs combined in 2018 was only 40. "There are a number of reasons for the decrease in sales in execution in these areas including the National Credit Act - the Act made it more difficult to apply for credit and to obtain reckless and unqualified loans," says Van Heerden. Another reason is that fewer listings were loaded with simulated asking prices and there was also an increase in assisted sales (also known as distressed sales) facilitated by banks. Assisted sales are more beneficial to both the bank and the seller than execution sales as there is an agent involved, often securing a more market-related price for the property, says Van Heerden. He continues that the median house price of a full title home in Springs was R770 000 in 2017, while it increased to R797 000 in 2018, and even though the median price of a full title home in Brakpan decreased from R930 000 in 2017 to R890 000 in 2018, prices here have showed a steady increase since 2015. 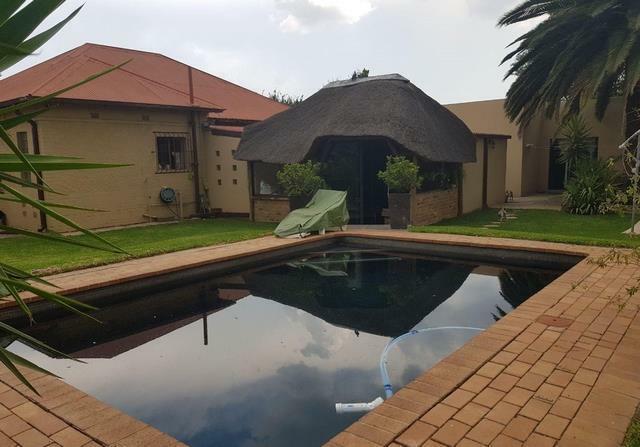 This three bedroom, one bathroom home in Brakpan Central offers a pool plus indoor and outdoor built-in braai. It is on the market for R1.295 million - click here to view. "We are definitely expecting an improvement in market sentiment in both areas after the elections in May. In Springs and Brakpan buyers are hesitant to enter the market, while sellers are eager to sell their property - especially with regards to investment property," says Van Heerden. "We still experience a great demand for three bedroom, two bathroom full title homes with gardens in more secure areas priced between R650 000 and R750 000." Whenever a property like this is listed it will sell in less than three months in the majority of cases - depending on the quality of the home, of course. "We recently sold a three bedroom, one bathroom home in Selection Park in Springs listed for R630 000 in less than three days," he says. This four bedroom, three bathroom home in Edelweiss, Springs, is selling for R1.2 million - click here to view. Van Heerden adds that rentals in both these areas have increased by 10% year-on-year, and that 98% of their tenants pay their rent on time. Rental stock in both Springs and Brakpan is in high demand. Big family homes in good areas can fetch up to R15 000 per month, but the average rental for a standard three bedroom, two bathroom home is around R7 000 per month. Van Heerden says that Springs and Brakpan, like much of the rest of the country, are also experiencing a buyer's market. "We are seeing some investors benefiting from this buyer's market as they are buying properties for under market value and then renting them out for an amount that covers all their expenses. If this is carefully managed, these properties can turn a profit within five years while the asset can also grow by 5% annually," he says. Seeff Springs and Brakpan also services the Nigel area. Properties listed here at the moment range from R325 000 to R1.738 million.